Do you like Nightmare Runner 2? Share it with your friends. Nightmare Runner 2 is a very good game of jumping jumping, in which you enter the role of a guy who, during his sleep, found himself in the mysterious world of his nightmares. 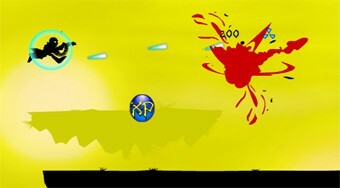 Go through the game area, skip obstacles, shoot down monsters, collect bonuses, and try to reach as far as possible.